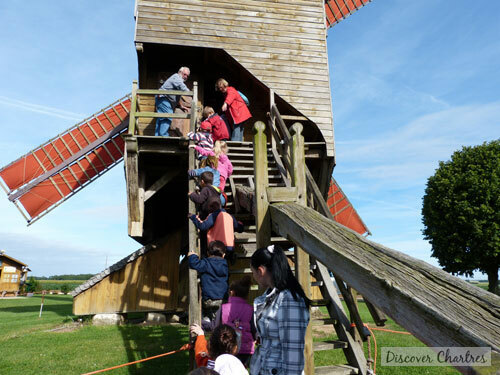 Are you interested to assist our class to Pelard windmill? I was so grateful that my son’s teacher proposed an opportunity that I would not refuse! I knew nothing about this moulin... the only thing I knew was a famous moulin in Paris… aha! I bet you know what I am talking about... yep, the Moulin Rouge, which has a totally different use with a Pelard windmill although they both use the same red color sails! Those men were setting the sails when we were arrived at place. Every one get ready... we're sailing soon! 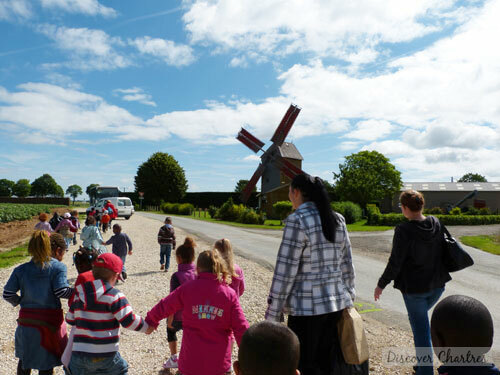 So we had our visit to the windmill on early morning in summer – end of June, by a school bus. 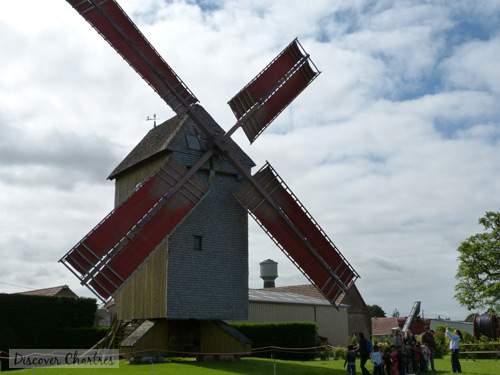 We had to go to south of Chartres to Bois de Feugères in Bouville to reach the windmill, by following Route Nationale (RN) 10. You can see the windmill on the right side of the road. 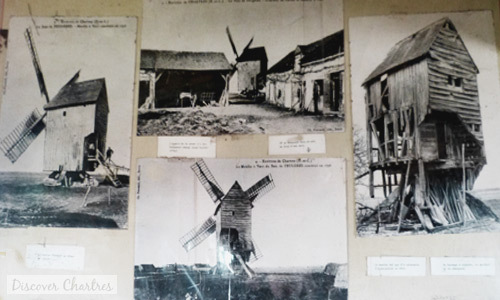 Moulin Pelard was first built in 1796, owned by four generations of Pelard family. Its main function was to produce wheat flour. 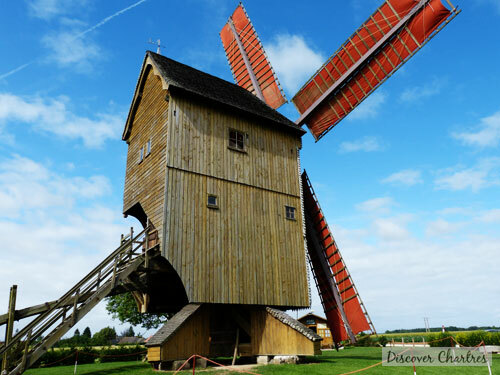 The latest miller of the family, Léopord Pelard gradually abandoned the flour-mill when the windmill had been unable to produce wheat flour and that the tax of the state badly hit the windmill sails. After he died in 1941, the windmill then hand downed to the local community. With the support of L'Association Régionale des Amis des Moulins (ARAM), the renovation of the mill was finally completed in 1976. However, a year later in 1977, a violent storm destroyed the mill. 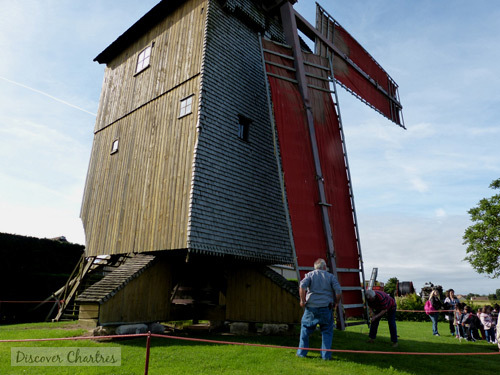 A new restoration had taken and completely done in September 20, 1990, that was when the mill found back its wings – officially opens to public in 1992. Moulin Pelard is a post-mill type - Moulin chandelier. This type of windmills use only the wind as the source of power. 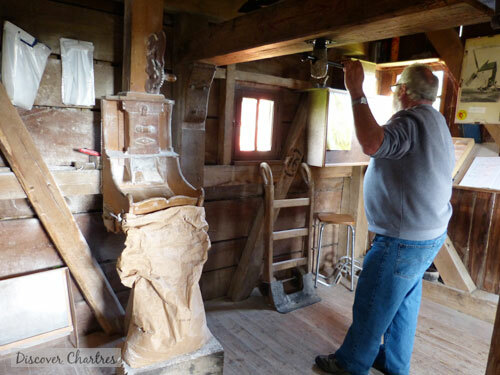 The perfect wind speed required for the mill to run properly is around 9 to 12km per hour. 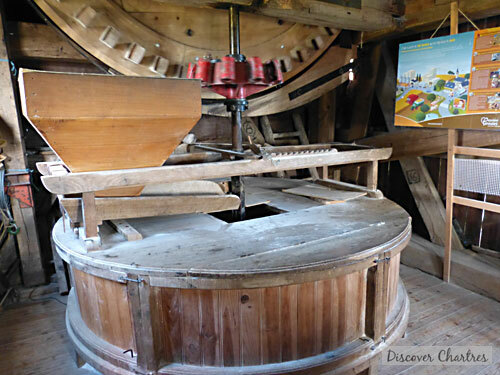 It works exactly like a sailboat does – the miller turns the mill body where the wind blows! Just like in the sea, it is important to tune the mill according the prevailing wind, which is generally to the south-east direction. Le Moulin Rouge (The red windmill) - But why red color sails? But the real reason why the sails are red is because the mold hates red colors so you can roll the sails even in high humidity. The sails were made of linen, that was in the past, today they use Drolan textile. 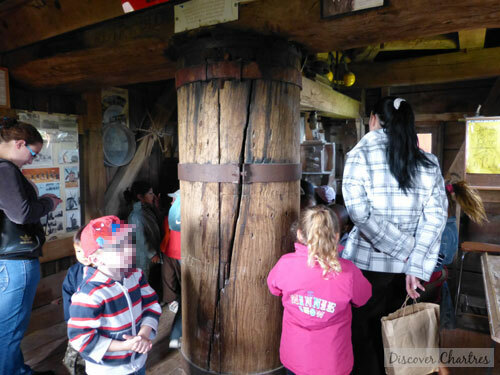 Now it's time to explain to the children about how the mill works... though honestly I had a doubt that the children have any interests in this. 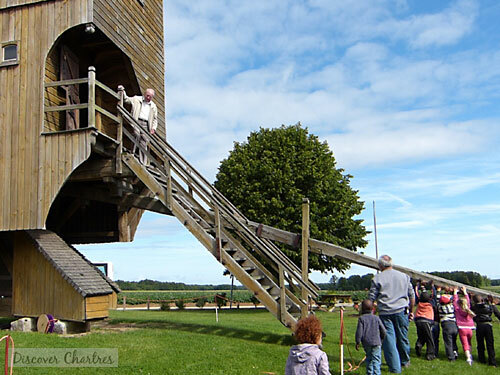 The giant cylinder made of oak tree allows the windmill to turn 360 degree into the prevailing wind. We were in the first floor of the windmill. First you have to turn the mechanical thing just like the man did. I don't even know what it is called... and voila here come the flour jump into the paper sack! When all is ready... go to the scale corner! 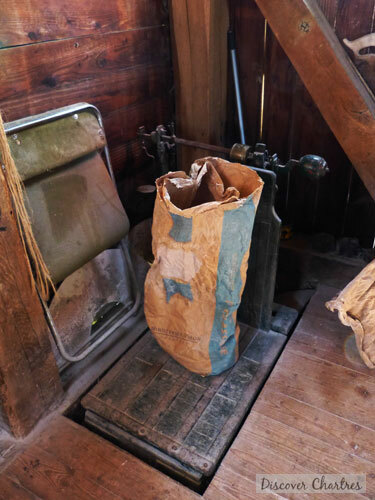 The two giant grinds of 1,2 tons each on the second floor of the windmill. 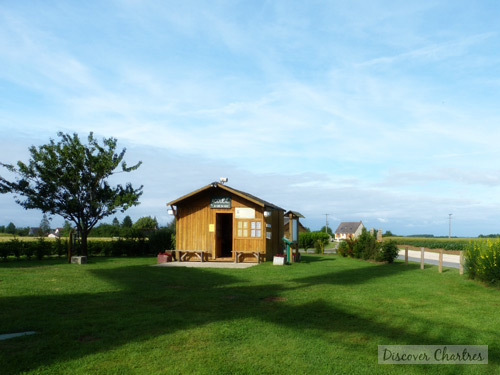 Moulin Pelard only produce wheat flour, the one that we use to make bread. It produces around 500 kg of flour per day. Can you imagine how to bring all those flour down to the first floor? You have to be Hercules to carry the sacks of grain of wheat on your back! 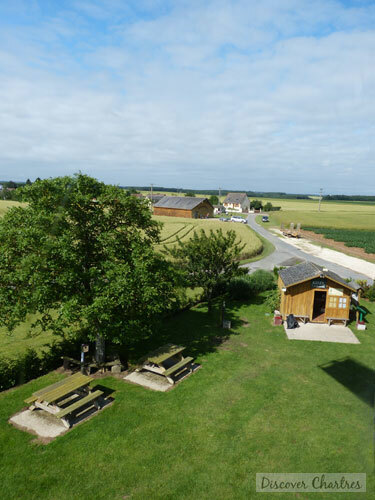 A snapshot from the window in the second floor of the windmill. This was the most fun part! At the end of the session, the children had a chance to turn the windmill by pushing the long bar. In french, we call the long bar as le chévre... yes, a goat in English! One last shot before going back to the school bus! 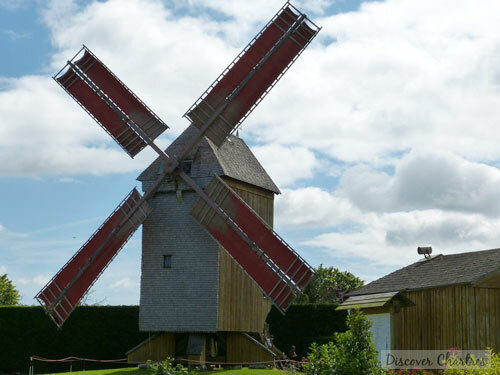 Moulin Pelard now opens to public in April to October on Saturday, Sunday and holiday from 2pm through 6.30pm.